105cts Pink Opal Graduated Faceted Fancy Shape Approx 11 to 14mm, 18cm Strand. 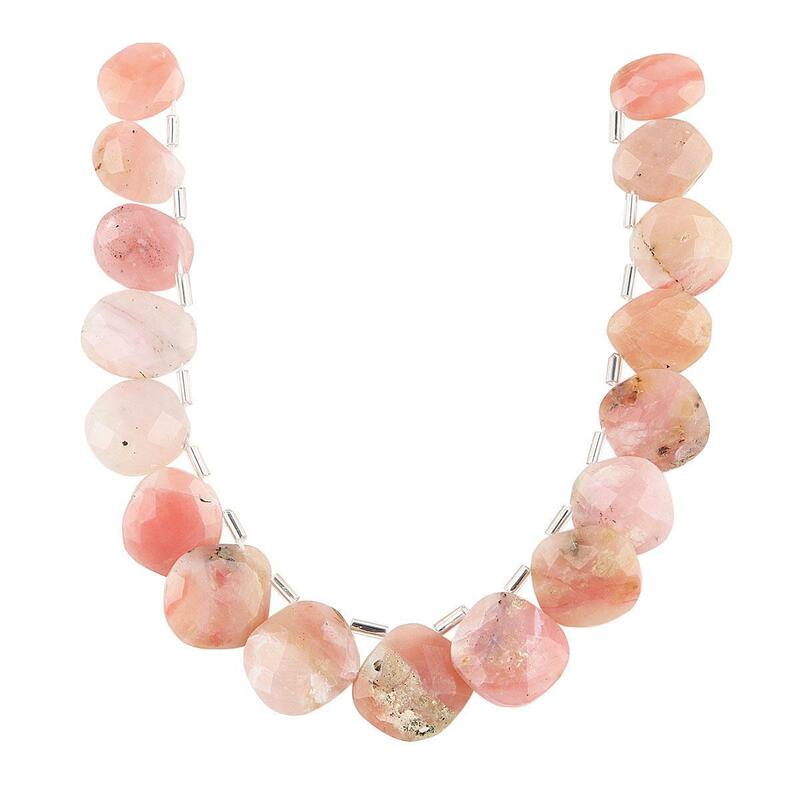 This wonderfully faceted Pink Opal strand will inspire you to create an amazing collection. 45cts Shaded Ethiopian Opal Plain Small Nuggets Approx From 2x1 to 5x1mm, 78cm Strand. 60cts Ethiopian Opal Plain Small Nuggets Approx From 2x1 to 6x2mm, 85cm Strand. 97cts Blue Opal Plain Medium Nuggets Approx From 2x1 to 9x1mm, 84cm Strand. 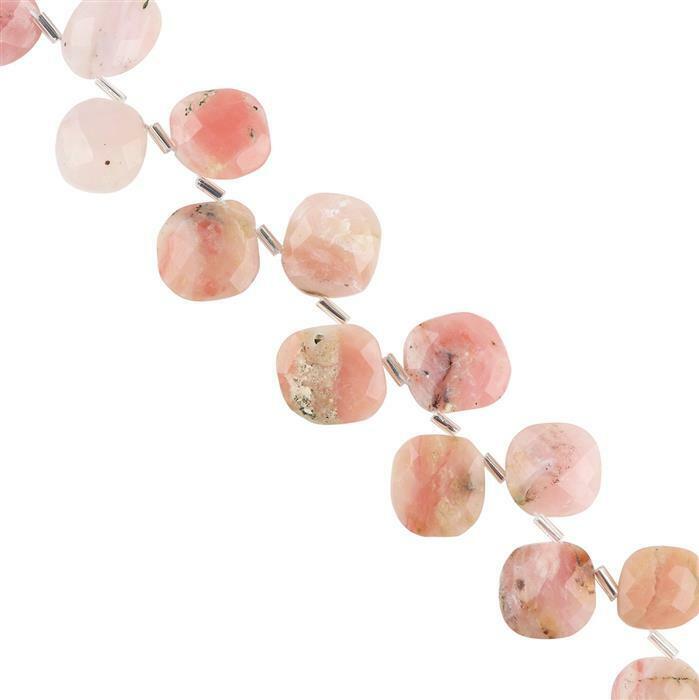 95cts Pink Opal Graduated Faceted Rondelles Approx From 5x2 to 8x5mm, 20cm Strand. 35cts Multi Blue Opal Graduated Faceted Rondelles Approx From 3x1 to 5x2mm, 30cm Strand. 110cts Blue Opal Graduated Plain Rondelles Approx From 6x3 to 11x6mm, 19cm Strand. 25cts Ethiopian Opal Graduated Plain Drops Approx From 4 to 9mm, 18cm Strand. 100cts Boulder Opal Multi Shapes Cabochons. 25cts Ethiopian Opal Graduated Plain Rondelles Approx 3x2 to 7x4mm, 18cm Strand. 25cts Ethiopian Opal Graduated Plain Rondelles Approx From 3x1 to 6x3mm, 18cm Strand. 70cts Multi-Colour Opal Graduated Faceted Rondelles Approx From 6x3 to 8x4mm, 14cm Strand.